In this article we examine II Peter 3:7-13 and decide that the heavens and earth that were marked for destruction involved considerably more than merely Old Testament Judaism, Jerusalem, and the temple. A humorous example of this tendency to explain everything in terms of Judaism and the destruction of Jerusalem occurred at a recent conference at which I was a speaker. A young man who obviously had come under the influence of King was passing out an article in which he attempted to explain casting death and hades into the lake of fire (Rev. 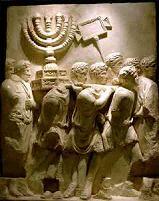 20:15) as the destruction of Judaism. Apparently, in his mind, to destroy Judaism was to destroy death and hades! I do not say this to pick on this promising young man or Max King. Not by any means. In forging a path through a wilderness, it is inevitable that we sometimes err and have to retrace our steps. King was among the earliest writers on preterism; it was inevitable he make the mistakes pioneers make. But the point remains: there was a tendency among early writers to focus exclusively upon the Jewish aspect of the eschaton; to zero in on passing the Mosaic law and destruction of Jerusalem to the exclusion of all else. And this tendency was not limited to the source of death and the nature of the resurrection. It is also extant in notions about the interpretation of II Peter 3:7-13. II Pet. Three is one of the more difficult passages of scripture for many Christians to accept was fulfilled in the events culminating in the destruction of Jerusalem in A.D. 70. Unfamiliar with the usus loquendi (manner of speaking) of the Old Testament prophets, there is a natural tendency to interpret Peter’s language literally, as if the earth and its atomic elements are to be burned up. Recognizing the figurative nature of identical language in the Old Testament, preterists conclude that Peter must be understood in the identical way. (Cf. Isa. 13:6-13; 34:1-15; Jer. 4:23-26; Zeph. 1:2-4) The New Testament did not occur in a vacuum; the established method of speaking and prophesying did not suddenly cease and a new hermeneutic spring into existence at the cross; the same Spirit that spoke through the Old Testament prophets spoke through the apostles. This, coupled with passages which speak of Christ’s second coming in the events marking the destruction of Jerusalem, caused early preterist writers to interpret the eschaton exclusively in terms of the dissolution of the Jewish state. Accordingly, the “elements” of II Pet. 3:7-13 became the precepts of the Mosaic law and the “heavens and earth,” the world of Judaism, particularly the temple and city of Jerusalem. Similarly, the new heavens and earth were interpreted in terms exclusively of the New Testament kingdom and gospel. After all, didn’t Paul refer to the Mosaic law and its calendar of feasts as the “elements of the world”? (Gal. 4:8-10; cf. Col. 2:16, 17, 20; Heb. 5:12; 6:1) Moreover, didn’t the Jews see in the temple a type of heaven in the Most Holy place and the earth in its outer courts? And did not Jesus, sitting on the Mount of Olives overlooking the temple, say “heaven and earth shall pass away, but my word shall not pass away”? And what about Matt. 5:18, didn’t Jesus say “Till heaven and earth pass, one jot or one tittle shall in no wise pass from the law, till all be fulfilled,” thus tying the passage of heaven and earth to the fulfillment and passing of the law? And finally, didn’t God state that when he established the covenant at Sinai that he “planted the heavens and laid the foundations of the earth?” (Isa. 51:16) Isn’t this proof that the heavens and earth must be construed covenantally, and II Peter interpreted exclusively in terms of the dissolution of Jerusalem and the Mosaic law? Well, maybe. A critical review of the above texts will show that they have sometimes been misused. Let us begin with Matt. 5:18. When I first became a preterist 25 years ago, I interpreted this passage much as described above. I thought Christ was tying the passage of the law to the passage of the “heavens and earth” and these, in turn, to the destruction of Jerusalem. This is pretty much the standard preterist interpretation today. However, I have come to view it differently. Hopefully, my present understanding is correct. In saying “till heaven and earth pass away,” Jesus was not employing a metaphor or engaging in veiled speech indicating that the passing of the old law would mark the passing of the heavens and earth. Rather, he is employing a figure of speech to show the impossibility that the law should pass before it was fulfilled. If we substitute a vulgar expression, which we are all familiar with, but which hopefully the Christian himself does not use, it will be easily seen that Jesus did not intend the language to be pressed too literally: “Till hell freezes over, one jot or tittle shall in no wise pass from the law till all be fulfilled.” I think it is clear that in this sentence we do not intend to suggest that the fulfillment of the law would indicate hell had actually or figuratively frozen. Rather, we are employing a figure of speech to show that it is easier for hell to freeze than the law should fail. And this is precisely how Jesus uses the expression. In effect, Jesus says it is easier for heaven and earth to pass than for one jot or tittle of the law to fail except it first be fulfilled. And, in fact, he uses this exact phrase in Lk. 16:16, 17: “The law and the prophets were until John: since that time the kingdom of God is preached, and every man presseth into it. And it is easier for heaven and earth to pass, than one tittle of the law to fail.” To press the literalness of Jesus’ statement is to miss its meaning. Matt. 5:18 has nothing to lend to the interpretation of II Pet. 3:7-13. In this passage the Lord compares the permanence of the heavenly bodies to his irrevocable purpose to bring back a remnant from captivity and so bring Christ into the world. And, indeed, he never has cast off all the seed of Israel. Even in destroying the nation in A.D. 70, a remnant was preserved, just as he foretold. (Rom. 9:29; 11:5) Another example of evoking the heavens to show the certainty of God’s word is Ps. 89:36, 37, where the writer says that the throne of David and his seed shall “endure for ever, and his throne as the sun before me. It shall be established for ever as the moon, and as a faithful witness in heaven.” Hence, in saying, “heaven and earth shall pass away, but my word shall not pass away,” Christ is not making an enigmatic reference to the temple. He is simply saying that it is easier for earth to vanish than his predictions to fail. He wanted his disciples to understand that he spoke with the perfect authority of the word of God; that his word was established in heaven and did not rest upon the fickle fortune and changing winds of human earth and sky. To search for hidden meanings is to miss the point. What about reference to the ordinances of the Mosaic law as the “elements of the world” (Gal. 4:1-10); doesn’t this indicate the law is in view when Peter says the “elements” would be dissolved with fervent heat? We think not. First, Peter is almost certainly talking about the political elements of the world kingdoms combined together to persecute the church, not the ordinances of the Mosaic law, which could have little relevance to the brethren living in Pontus, Galatia, Cappadocia, Asia, and Bithynia, to whom his letter was addressed. The fall of Jerusalem over a thousand miles away would have almost no effect upon these people at all. But, the overturning of worldly thrones and powers that were persecuting the church in Asia would, and it is much more likely that it is these Peter refers to. The term “rudiments” here is from the Greek stoicheia; the same word is rendered “elements” in Galatians. Paul’s mention of philosophy is a plain reference to the Greek and Roman philosophical schools and traditions. The other ordinances Paul describes are forms of false asceticism common to sects among both Jews and Gentiles, self imposed rules of abstinence and self-abnegation from things indifferent in themselves; rules of man's own devising that can not deliver from sin. True self-denial was to rest in Christ and abstain from sin and worldly lusts, not food and drink. Use of stoicheia in the context of asceticism and philosophy prove that the term does not have exclusive reference to the mundane ordinances of the law, and renders unlikely that Peter had the temple service in view when he used the term. We have now surveyed all the traditional proof texts. As we have seen, they have all have been misinterpreted and misapplied. To be sure, we apprehended their meaning in part (or, as the apostle would say, “through a glass darkly”), but not clearly or in whole. Hence, we construed II Peter three wrongly. The language is figurative, yes! But much more was involved then merely Judea, Jerusalem, and the law. These were at the center of the eschaton because they were at the center of God’s plan of redemption, but we would be very mistaken to so circumscribe Christ’s second coming as to exclude the rest of the inhabitable world. As we shall see, the eschaton was universal in its meaning and affect. The elements that melted at Christ’s coming entailed the fashion of the whole world. Nebuchadnezzar’s dream depicted Christ coming in his kingdom with power. The affect would be world-wide; except insofar as included incidentally as part of the fourth world empire, the Jews, the temple, and Jerusalem are not so much as alluded to. Daniel does speak to the destruction of the Jewish state in subsequent chapters, but in chapter two the inhabited world is in view. The import of the dream is that the world was on a collision course with the risen Savior; the whole edifice of human government, religion, and culture would be dashed to pieces by the iron scepter of the ruling Christ and forever swept away. A new world order would rise from the rubble; the gospel would become the standard against which every institution of man was measured. What Peter said would be consumed by fire, Nebuchadnezzar’s dream portrayed as chaff that the wind carried away. The visions are the same; only the language and imagery are changed. In all of these passages, the fire that destroyed the enemies of Christ answers to the eschatological fire of II Pet. 3:10. The fire is the same. The persecution under Nero was world wide: the false prophet (Jewish ecclesiastical powers) led the persecution in Judea and Palestine; the harlot (Jerusalem and Jewry) drove the persecution throughout Asia where she is portrayed riding a scarlet colored beast; and Nero waged war against the saints in Rome. The world wide nature of the eschatological war against Christ and the church is proof positive that the eschatological fire of II Pet. 3:10 was also world wide, and not limited to merely Judea. In Judea, Christ’s coming would result in the destruction of Jerusalem and the temple; Asia suffered earthquakes, famine and disease; Rome and Italy were ravaged by plague, famine and civil war. No part of the empire was untouched. J. Stuart Russell attempted to explain this passage by saying that “all nations” meant all the tribes of Israel. But his argument was unconvincing. To make this apply only to Judea and the Jews is forced and artificial. The passage is much more consistent with a world-wide judgment at the eschaton than just the Jews. Paul was in Athens when he made this prediction. He is not here speaking about the judgment of the dead, nor of Palestine, but the world (Grk. oikoumenen – inhabitable world; viz., the Roman empire). The coming day of judgment would envelope the whole Roman empire, and not just Jerusalem, Judea, and Galilee. We might comment here that in discussing the “little apocalypse” of Isa. 24-29, preterists generally interpret the “earth” that is there made desolate and bare (Isa. 24:12) in terms only of Judah and Israel. However, the fact is often overlooked that in the nine preceding chapters the prophet described God’s judgment upon Moab (Isa. 15, 16), Syria and Israel (Isa. 17), Ethiopia (Isa. 18), Egypt (Isa. 19, 20), Babylon, Dumah and Arabia (Isa. 21), Judah (Isa. 22), and Tyre. (Isa. 23) Thus, the judgment spoken of in the little apocalypse was world-wide; chapter twenty-four merely summarizes the judgments that overtook the ancient world in the preceding chapters. The ax in God’s hand and razor by which he would shave the world of its inhabitants was Assyria. (Isa. 7:20; 10:12, 15) Assyria was like a rending storm and overwhelming scourge that would pass through the land, leveling all in its path. The Jews thought they would escape; they thought they had a covenant with death (Assyria) and with hell were in agreement. (Isa. 28:15) Ahaz had taken the gold and silver found in the temple and the treasures of the king’s house, and sent them for a present to the king of Assyria (II Kng. 16); Hezekiah paid the king of Assyria three hundred talents of silver and thirty talents of gold; he even stripped off the gold from the doors of the temple, and from the pillars, to pay to the king of Assyria to conclude a treaty of peace. (II Kng. 18:13-16) The Jews thought that they would thus escape God’s judgment by the Assyrians. But God said he would annul their agreement with Assyria and they would be trodden down when the overwhelming scourge passed through the land; as in fact came to pass. (Isa. 28:18) Furthermore, what the Assyrians failed to accomplish, the Babylonians would complete. God’s judgment in carrying the nation into captivity under the Assyrians and Babylonians was typical of the eschatological judgment under Rome when the nation would suffer ultimate and irrevocable destruction. Hence, prophecies of the coming salvation in Jesus are interwoven throughout the little apocalypse, showing it has another, plenary application that would be fulfilled in the days of the Messiah. (Isa. 25:8; 26:19; 28:16) But the point we want to make here is that, just as the judgment of the little apocalypse by Assyria brought within its sweep the whole world of ancient man, so the eschatological judgment would not be limited to Jerusalem and Palestine. All men would feel the rod of Christ’s correction. These verses make plain that the coming day of wrath was directed against all men; to the Jew first and also the Gentile. No nation was immune or would escape. Here Paul indicates that the very form and fashion of the world (kosmos) was destined to “pass away” at the eschaton. It was not merely the Jew’s world that would vanish forever, but the world as it had been known to mankind from the time of the fall. No more would sin and death reign; Christ reigned and would henceforth bend the world to his word and his will. The “Wicked” (man of sin and son of perdition) is a reference to Nero. This verse states that Christ would destroy Nero with the brightness of his coming. This means that Christ’s coming reached to Rome and was not limited to Palestine. It also shows that Christ came in the events of A.D. 67-70, and not A.D. 70 alone. This contemplates considerably more than just the judgment of Palestine and the Jews. All kindreds of the earth would witness the kingdom coming in power. Space does not permit a fuller presentation, but these few should do. Can anyone seriously claim that the eschaton encompassed only Jerusalem, Judea, and Galilee? Those who see only the destruction of Jerusalem and old covenant Israel in II Pet. 3:10 tend to construe the new heavens and earth in the same overly narrow terms. Typically, the new heavens and earth are thought to represent the New Testament. However, this is mistaken. If the new heavens and earth are the New Testament, only those obeying the gospel would dwell there. But this is not the case. Revelation clearly depicts the lost dwelling in the new heavens and earth, outside the city. It is the city that represents the covenantal habitation of the saints; “without are dogs, and sorcerers, and whoremongers, and murderers, and idolaters, and whosoever loveth and maketh a lie.” (Rev. 22:15) The fact that unregenerate men inhabit the new heavens and earth proves conclusively that they are not symbols of the New Testament. But if they are not the New Testament, what are they? Although correctly interpreting the language of II Pet. 3:7-15 symbolically and not predicting the literal destruction of all that exists, we have tended to interpret it in overly narrow terms. The eschaton involved more than the destruction of Jerusalem and the temple; it brought the entire inhabitable world within its sweep.